What in the world is a ‘banking union’? How should one imagine the planned EU banking union? Will there be one or several united or merged banks in Europe forming a genuine union? Definitely not. Banking union means something different, namely the building and operating of an integrated banking system, such as the one that exists in the USA. If a local bank in a US state experiences huge losses and/or becomes insolvent – i.e. it cannot refund its depositors –, in the process threatening the entire banking system, it is a natural occurrence there for federal institutions to intervene. Was the Cyprus crisis a dress rehearsal for the banking union? In Europe the responsibility for banking losses so far has lain with the individual Member States, as there is no real federal level. As a national competency, taxpayers have to cover the losses at the end of the day. That was the case first and foremost in Ireland, but also in Spain where the bursting of the real estate bubble brought many financial institutions to the brink of collapse. As a result, the state had to intervene with huge amounts of taxpayer money to prevent the collapse of the entire banking system. In Cyprus, big depositors had to suffer a “bail-in” in order to prevent the country’s default, i.e. the deposits over 100,000 euros were loaded by a special one-off tax. The banking union is thus set to prevent the forming of the vicious circle between deteriorating banking balance sheets and the national budget. An integrated banking system would prevent once and for the need for all badly performing banks to be saved with public funds. The necessary recapitalisation of these institutions in the future will most likely be solved from a pan-European fund filled up by the banks themselves (and not by the state), although this particular detail of the banking union has not been agreed upon yet. The European Council meeting (of the 27 heads of states and governments) in December 2012 made significant progress toward the creation of a banking union. The first phase of it, i.e. the Single Supervisory Mechanism (SSM), is now underway. This will be compulsory only for the euro area countries, but others may also join if they wish. Three countries – Great Britain, Sweden and the Czech Republic – have already declared their intention to not take part in the SSM, while the accession of the others is anticipated. The more a country’s banking system relies on foreign funding for its functioning (such as for example Hungary), the more advantageous it is for it to join the SSM. 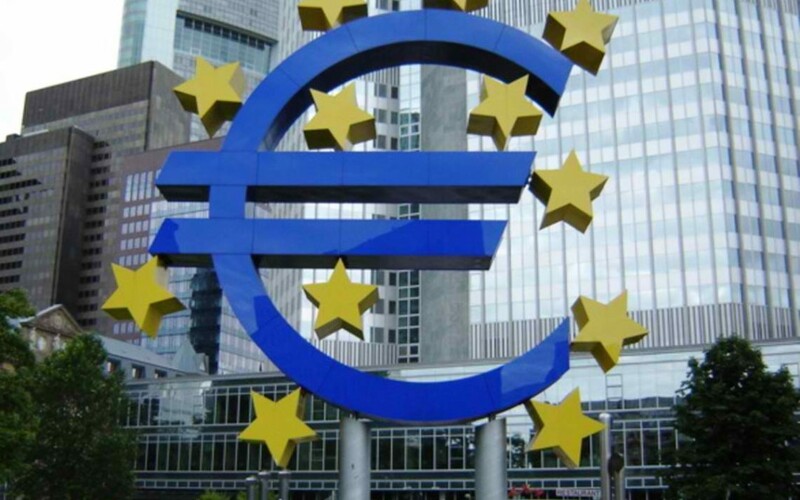 The SSM empowers the European Central Bank (ECB) to supervise a large number of – although far from all – eurozone banks. Only institutions with total assets of at least 30 billion euros, or 20% of the given country’s GDP, will be supervised by the ECB. According to Bruegel, the Brussels-based think tank, this would include only 187 banks out of a total of 5,400, although it would cover 92% of banks’ combined total assets. The remaining banks, even ones within the euro area, will continue to fall under the jurisdiction of the national supervisory bodies. The essence of the banking union, however, is not the SSM but the two further phases in establishing the full banking union: the deposit guarantee scheme, aimed at guaranteeing all deposits from a common European fund; and the single resolution mechanism, to be used to recapitalise banks in case of insolvency. Once these phases are realised – and the final propositions for them won’t be accepted before mid-2014 and could enter into force around 2018 – a significant part of the costs caused by a bank’s collapse will be “federalised”, i.e. financed from a common European fund. It would be the first significant step towards a cost mutualisation, the transfer of money from the richer member states to the poorer ones. The recent Cyprus case was a kind of “dress rehearsal” for the banking union. Had the single resolution mechanism been in force, it would have had to intervene before the Cypriot financial institutions went bankrupt. As a result, ordinary depositors would not have noticed anything, as their money would have been transferred to a “bridge” bank. The moral of the Cyprus crisis is that the creation of a banking union has to be sped up. If the single supervisory mechanism becomes supranational, then losses should be covered on the supranational level, too. Thus, I as an EU citizen and taxpayer will benefit from the banking union in at least two ways. Firstly, I can be sure that if my deposits are in danger, the EU’s integrated system would guarantee my money even if my bank or country happens to be on the brink of default. Secondly, my country would not have to cover the costs if a recapitalisation of the banking system becomes necessary. This is the essence of an integrated banking system, i.e. the banking union. And once this step is taken, we will be closer to a federative structure based on solidarity.